The 2018 non-waiver trade deadline is one week and one day away now. Already Manny Machado, Brad Hand, and Jeurys Familia have been moved. More deals are on the way and I am pretty certain the Yankees will trade for a starting pitcher at some point before next Tuesday. Just don’t ask me which starting pitcher. Anyway, here are the latest rumors. 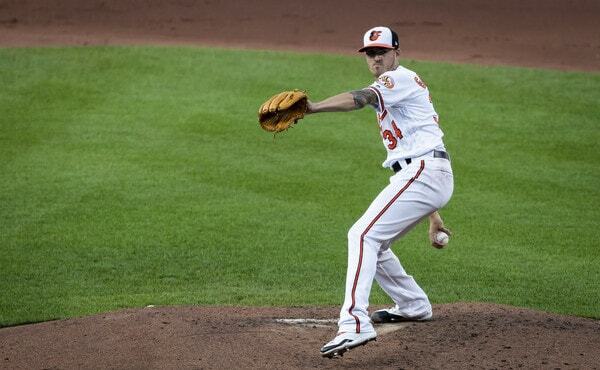 The Yankees have checked in on Orioles right-hander Kevin Gausman, reports Roch Kubatko. With Machado gone, the O’s might as well hang a “For Sale” sign on the rest of the roster. No sense in keeping anyone because they probably won’t be around long enough to be part of the next contending Orioles team, including Gausman, who is under team control through 2020. Trade him. Trade them all. The 27-year-old Gausman is having a very typical Kevin Gausman season, which means a 4.33 ERA (4.48 FIP) with okay-ish enough strikeout (20.0%), walk (5.6%), and grounder (46.7%) rates. We’ve seen enough of Gausman over the years to know that, when he’s on, he can dominate any lineup. A mid-90s fastball that still touches 99 mph combined with a good slider and a nasty splitter is quite the arsenal. I can’t help but feel like Gausman should be so much better than he currently is. Depending on the price, I’m totally on board with him as a change of scenery guy. The Yankees are among several teams with interest in O’s closer Zach Britton, reports Jon Heyman and Jerry Crasnick. Britton is an impending free agent and he’s as good as gone before Tuesday’s deadline. There’s no doubt about that. Did the Familia trade set the market for Britton? Both are impending free agents and Familia has been healthier. The Mets basically salary dumped Familia for two fringe prospects and international bonus money. Since coming back from his Achilles injury Britton has a 3.45 ERA (4.43 FIP) with a 64.1% ground ball rate in 15.2 innings. He’s been much, much better the last few times out as he continues to shake off the rust following a long layoff. Maybe Aroldis Chapman’s ongoing knee issues and near meltdown Saturday has me spooked, but I am totally cool with going after another high-end reliever. Chasen Shreve is easily replaceable, so even if Chapman stays healthy and effective the rest of the way, there’s still room in the bullpen for a guy like Britton. Several teams are scouting — and have interest in — Sonny Gray, and, according to Heyman and Nick Cafardo, there is some belief the Yankees want to move him. Of course, the Yankees still want to add to their rotation, so trading Gray means they’d have to bring in two starters, not just one. Can’t say I’m surprised teams are interested in buying low on Gray, who has a strong track record, is under control next season, and has pitched well outside hitter friendly Yankee Stadium. So far this season Sonny has a 5.34 ERA (4.41 FIP) and, while he’s pitched better his last two times out, I think we’re still a long way from saying he’s turned the corner. I need to see more. A lot more. If the Yankees can use Gray as part of a package to get a high-end starter with control beyond this season, then by all means do it. I wouldn’t trade him just to trade him though. That’s silly. Getting Sonny to right the ship is probably the single best rotation addition the Yankees can make the rest of the way. 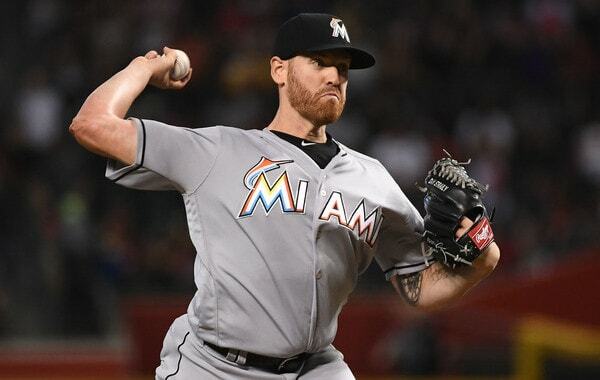 According to Heyman, the Yankees briefly spoke to the Marlins about right-hander Dan Straily, though the two sides are not close to a deal. If nothing else, Straily can’t become a free agent until the 2020-21 offseason, so he’s a controllable starter. The Marlins are terrible and presumably willing to trade anyone, including Straily. He’s available. This is a not a “they might not want to move him” situation. Straily, 29, has a 4.02 ERA (5.27 FIP) with 18.9% strikeouts this season, and he continues to have a skill set poorly suited for Yankee Stadium. That means lots of walks (11.1%) and few ground balls (33.5%). He’s posted a 1.52 HR/9 and 13.5% HR/FB rate the last two seasons despite pitching his home games in spacious Marlins Park. Straily’s worth a phone call because why not? Never hurts to check in. He just seems like a real bad fit for Yankee Stadium and the AL East in general. The Giants have interest in right-hander Albert Abreu, my No. 4 Yankees prospect, reports Brendan Kuty. Abreu is currently on the High-A Tampa disabled list with an elbow issue but is a midseason top 100 prospect according to MLB.com (60th) and Baseball America (79th). Abreu will be 23 in September and he’s thrown 129.1 total innings since Opening Day 2017 due to a variety of injuries. He is not a prospect worth hugging. Abreu should absolutely be available. Here’s the thing though: What do the Giants have to offer the Yankees? Forget about Madison Bumgarner. They’re not trading him. It’s not realistic at all. Johnny Cueto? Jeff Samardzija? No and no. Too many injuries and too expensive. Perhaps lefty relievers Tony Watson and Will Smith make sense. The Yankees did try to sign Watson over the winter, remember. Watson and Smith have both been excellent this year and San Francisco needs to dump salary to get under the $197M luxury tax threshold, which is a goal. That’s why Austin Jackson was salary dumped earlier this month. Hmmm. Maybe Abreu for Watson or Smith works? According to Cafardo, the Yankees included Brandon Drury in their offer for Machado before he was traded to the Dodgers. Also, according to Andy Martino, the Padres requested Miguel Andujar during trade talks about Hand. Considering San Diego was able to pry elite prospect Francisco Mejia away from the Indians in the Hand trade, asking for Andujar wasn’t far-fetched at all. Anyway, the Yankees have two Major League caliber third basemen in Andujar and Drury, so it only makes sense to make at least one of them available. That said, Drury is versatile enough to play elsewhere — the Yankees have started using him at first and second bases recently — so it’s not imperative they clear the logjam. There’s room for both guys on the roster. But, if one can net you a really good pitcher or a dude like Machado, go for it.